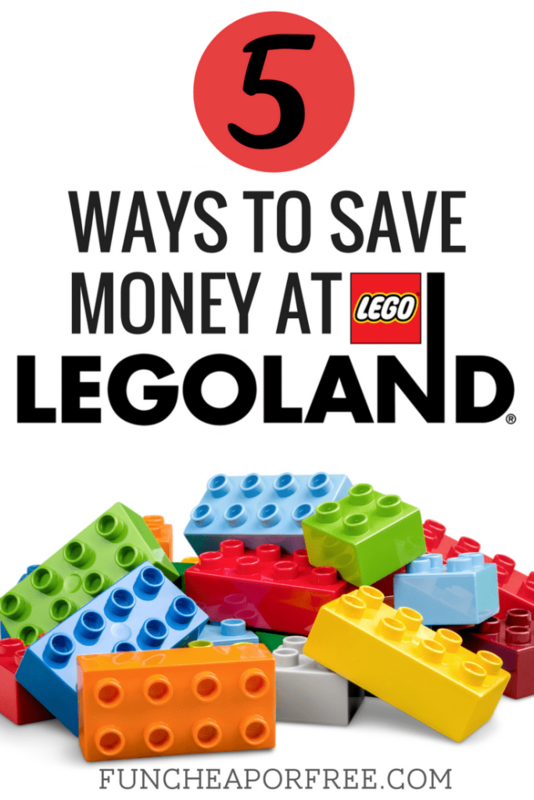 5 ways to save money at Legoland! Hey guys! Mary here, I am the social media manager at FunCheapOrFree, and a self-proclaimed theme park lover! We hold season passes to both Disneyland, and Legoland, and visit both as often as possible! 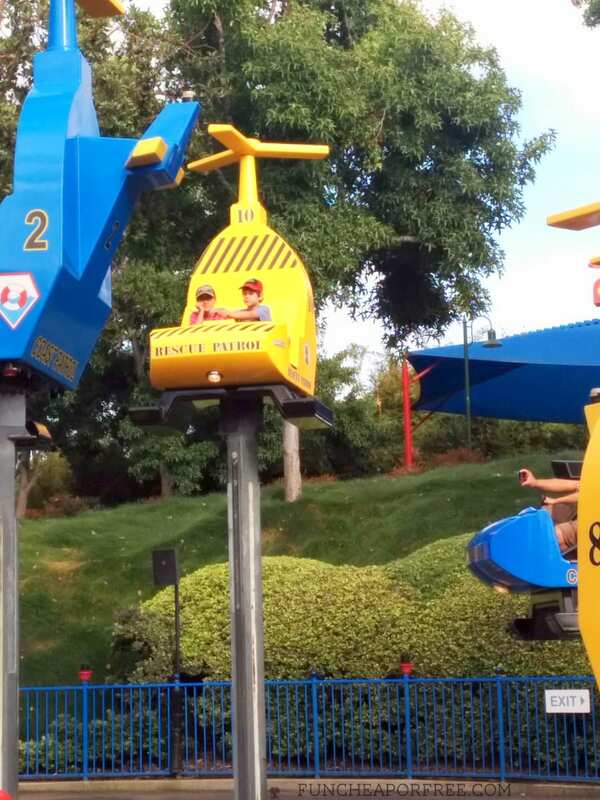 I consider myself somewhat of an expert in navigating the parks without breaking the bank, and since Jordan has covered the Disneyland side of things, I thought I would share 5 tips to save money at Legoland! Southern California is a sought-after travel destination and for good reason! There are many fun things to do and among the top are the areas many amusement parks. While these can be costly there are ways you can still save. 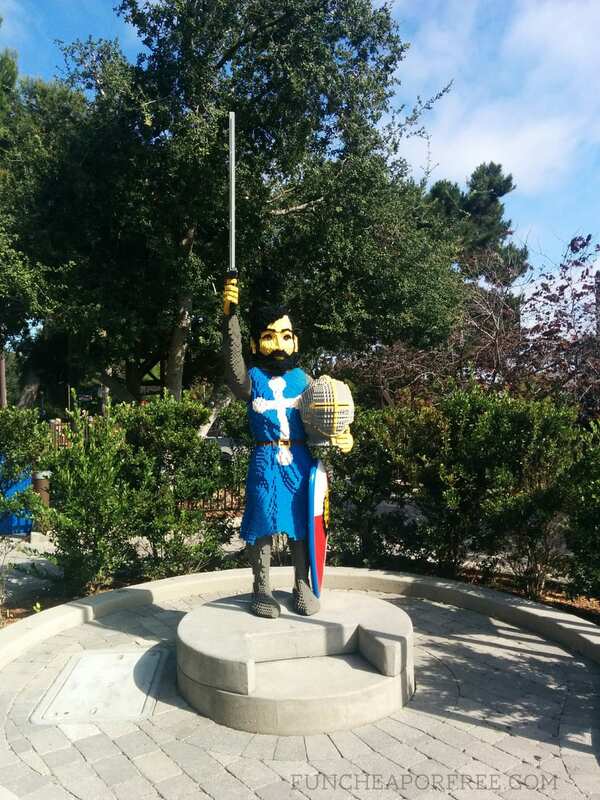 We recently took advantage of a great offer and got passes to Legoland California, a Lego themed amusement park with more than 60 rides and attractions geared towards ages 2-12. After taking many trips this summer I’ve come up with 5 quick and easy ways you can save at this fun and unique theme park. 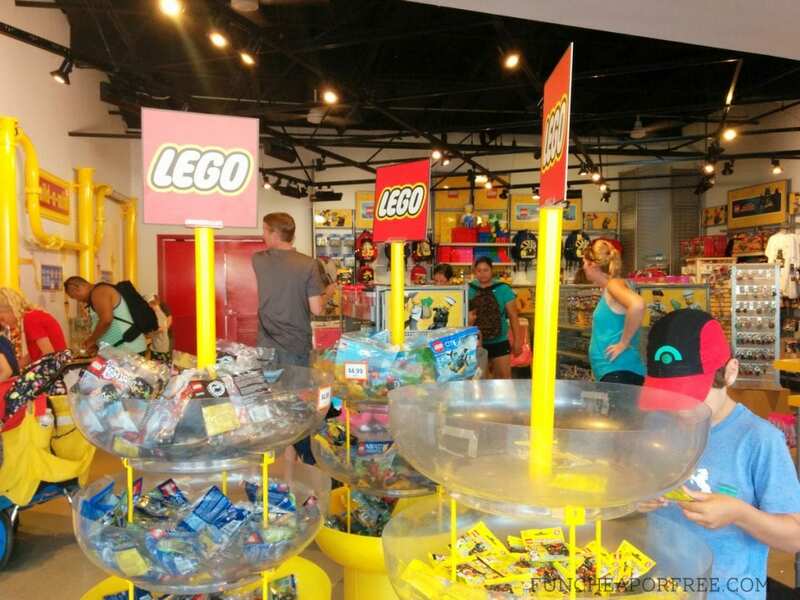 You can find deals for Legoland just about anywhere, but the trick is finding the best one for your family. Because I live locally I have not needed a hotel but there are plenty of options in the area. I recommend skipping the Legoland hotel which is quite pricey and staying at a nearby hotel that offers free shuttle service to the park. Now on to the tickets! Get Away Today. This is my favorite travel company and has amazing vacation packages. Costco. Select Costco locations regularly carry a discounted 3 day ticket. Legoland website. The park will often run promotions such as buy an adult ticket get a child’s ticket free. We bought our passes using their summer promotion buy a one day ticket go for the rest of the year free. Check out the promotions they have running by visiting this page! 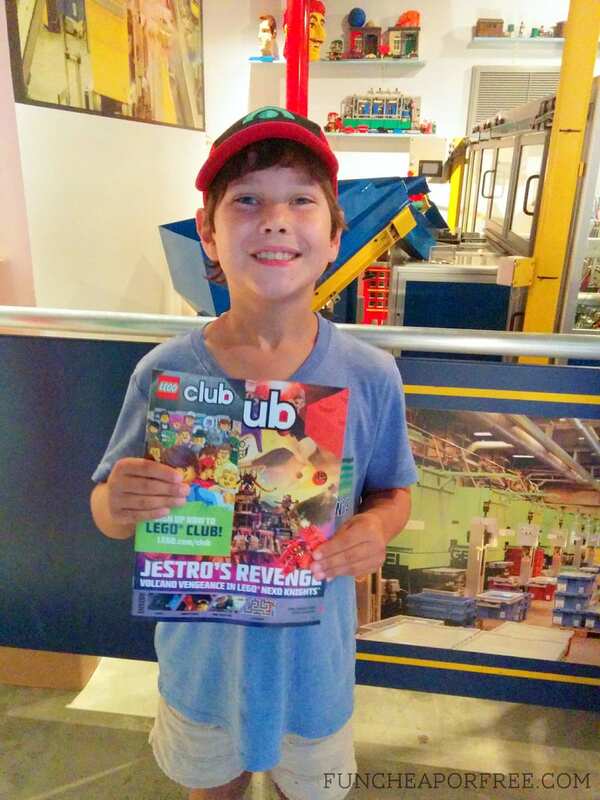 Subscribe to the free Lego Club Magazine. It’s free so why not take advantage? Plus, they often include coupons! Fast food locations. I often see coupons for Legoland at places like Burger King, Baskin Robbins, etc. Kids Go Free in October. If you’re traveling during this month (October) your kids can get into Legoland for FREE! Yes, FREE! Click here to get the details. 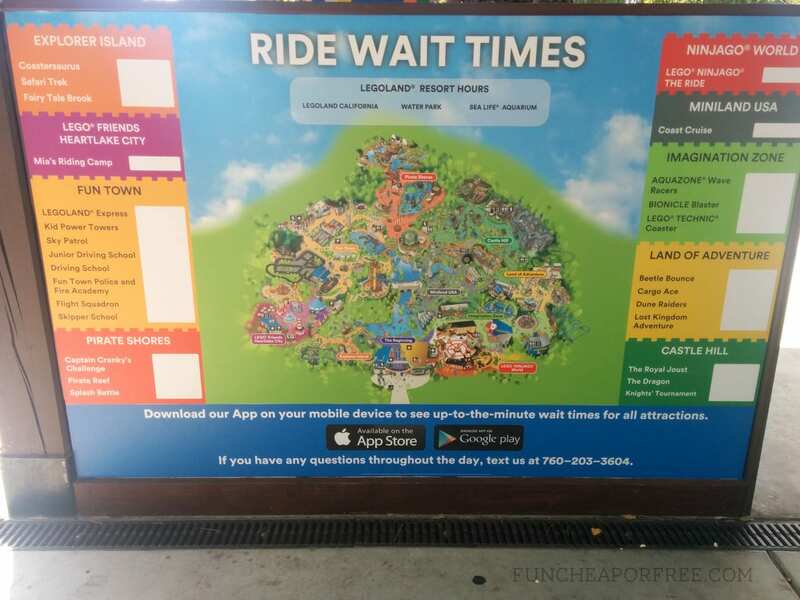 These may be a no-brainer to those well versed with theme parks but here are some tips that can help avoid extra spending at the park. Skip the pay-to-play games. These are scattered throughout the park and while many guarantee a prize it is still an extra. Buy your souvenirs ahead of time. If your kids love Legos as much as mine do they will be in awe over all the Lego options. If you’re going to do souvenirs shop the sales ahead of time and bring those items with you. Bring your own minifigures to trade. 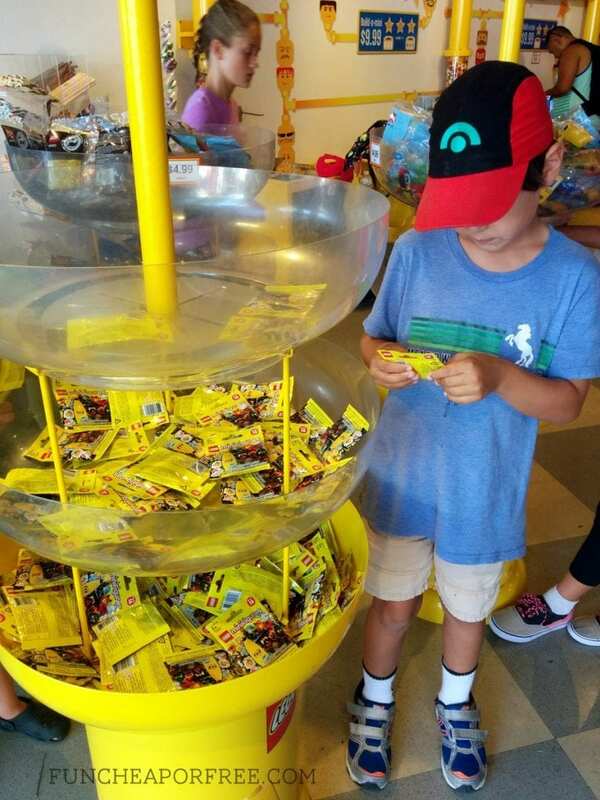 If you’ve been to Disneyland and done their pin trading you’ll love minifigure trading! All you have to do is bring a complete minifigure (can be any combination but must have a head and body) and you’re on your way. Many of the employees have minifigures on their name tags to trade, and you can find large displays of tradable minifigures throughout the park near the entrance and at select stores. A great way to stock up on minifigures is checking eBay, Craigslist, and of course shopping the sales. Legoland Mindstorms. This is a hands on 45 minute class for children ages 9 and up or going into 3rd grade. Duplo Playtown. If you have younger children they will love this area built just for them. 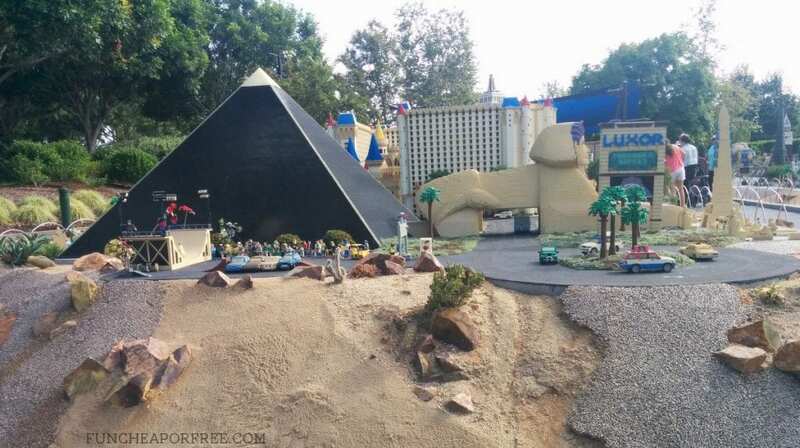 Miniland USA. Feel like a giant as you walk through this Miniland featuring replicas of iconic cities such as Las Vegas, Washington D.C., and New York City. Watch The Lego Movie 4D: A New Adventure. This 12 minute interactive short will have you laughing as your favorite Lego characters come to life on the big screen. Be aware that you will be lightly sprayed with water throughout the show. Hands on Lego building stations. 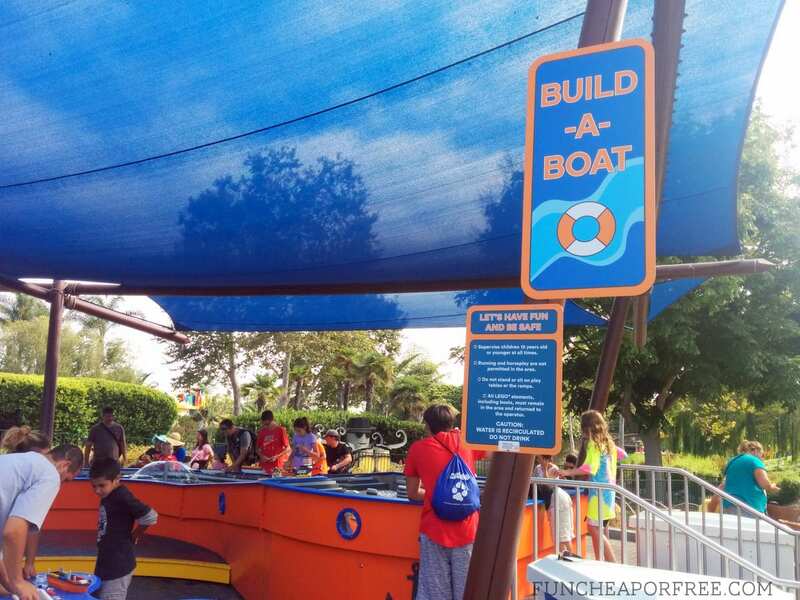 Throughout the park you can find shaded stations set up for children to build whatever they want. These are great places to take a break. A couple years ago Legoland California opened their own Chima themed waterpark, located within Legoland but requiring separate admission. Park hoppers can be purchased and if your family are big water park fans it may be worth it, but my suggestion is to skip it, here’s why. Bring swimsuits and towels. Included with regular Legoland admission is an area at the back of the park called Pirate Shores. Here they have several rides including two water rides, but they also have a huge splash pad! At Swabbie’s Deck children can play in water that shoots from fountains and cannons. 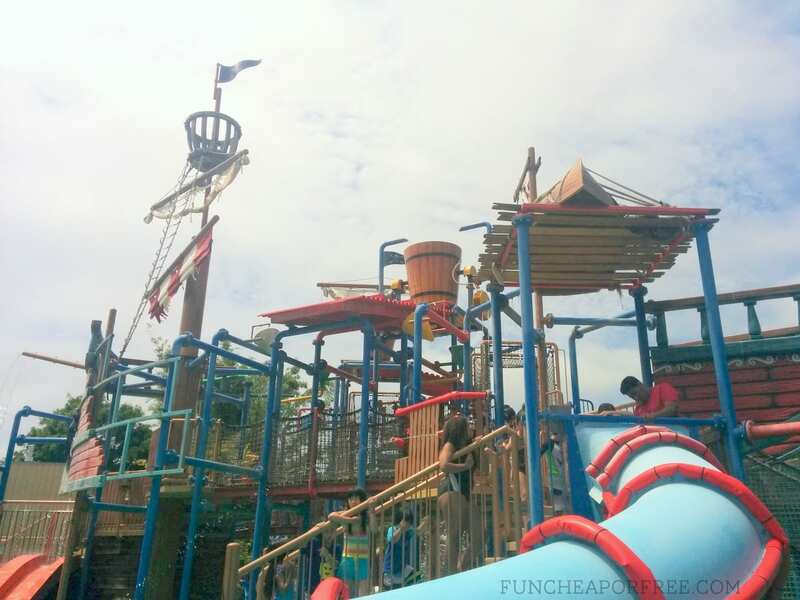 If they are a bit more adventurous, head over to Soak-N-Sail, a shipwrecked pirate ship that features fountains, cannons, buckets, and water slides. My children had so much fun the first time we came here and they thought this was the waterpark. 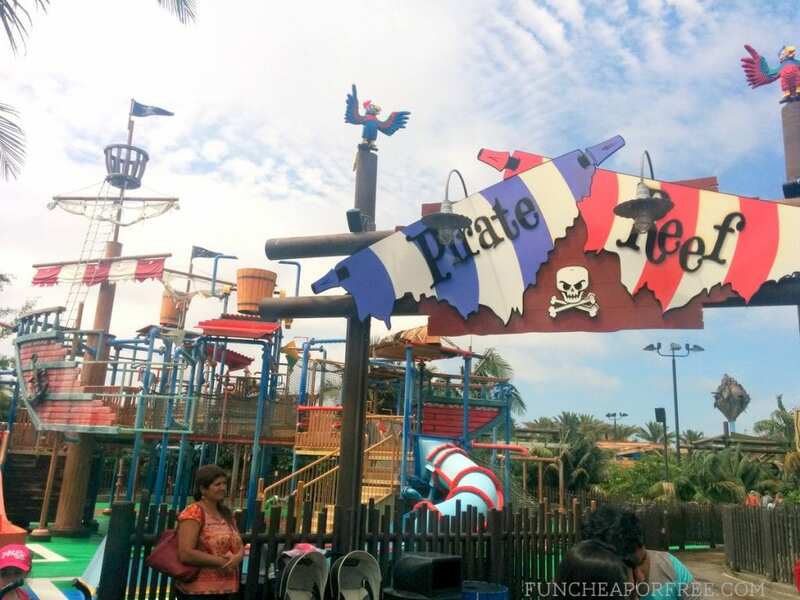 There’s no lazy river or big water slides, but if your kids are happy splashing and getting soaked then skip the second ticket price and stick with Pirate Shores. 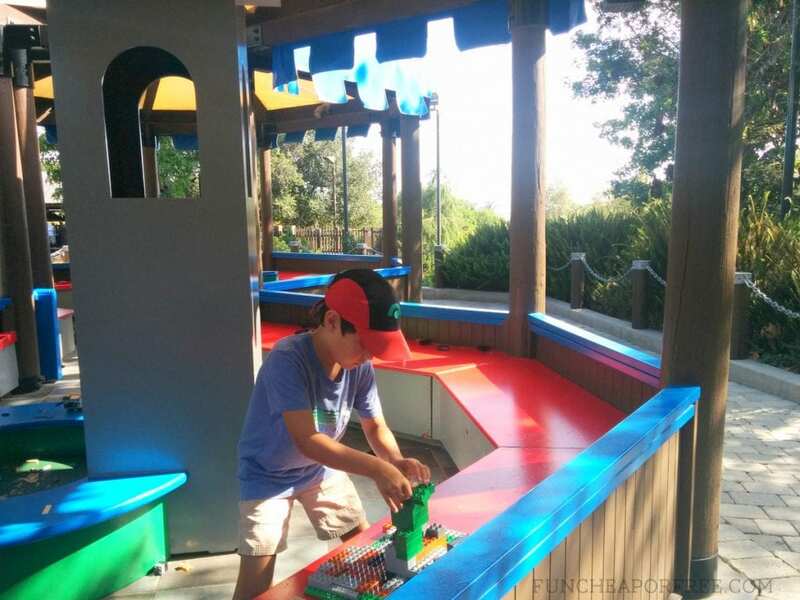 We all know how hard it can be to save on money while traveling but I’ve rounded up a few general tips as well as some things to look out for at Legoland. Bring your own food. Legoland’s official policy is “Outside coolers, food and beverages may not be brought into the Park or Water Park. However, exceptions are made for infants and those with special medical needs.” I have asked the workers if this applies to small snacks and water and have been told those are ok (and we’ve never had a problem bringing them in either). We like to pack non-perishable snacks such as pretzels, crackers, or fruit leather. Picnic lunch. If you want to bring a picnic lunch with you just pack your cooler with ice, leave it in your car, and enjoy it on the grass outside the park. Costco. There is a Costco conveniently located a 5 minute walk from Legoland. 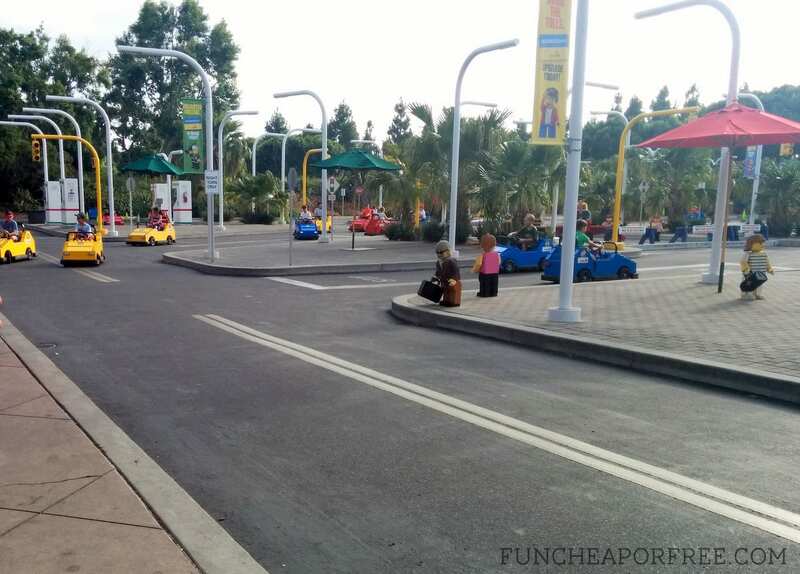 If you want to drive there, parking at Legoland is $15 but includes same day in/out privileges with valid parking stub. Send someone from your group out for pizza and enjoy it on the grass outside the park. Free souvenirs: If you are celebrating a birthday or first visit be sure to ask an employee for a special commemorative button. If you take the tour of the Lego Factory you can find copies of The Lego Magazine for your kiddos to take home. 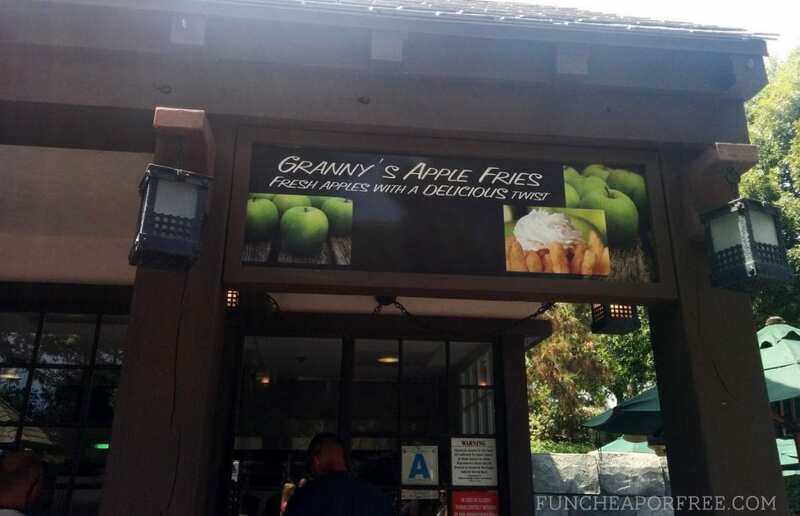 Splurge: If you’re going to treat yo’ self be sure to try their world famous apple fries! Delicious cinnamon apple fries topped with whipped cream, what could be better? Those are my 5 tips for saving at Legoland and I hope they helped. Now go and enjoy the land of bricks where everything is awesome! What are your theme park tips and tricks? Share with me in the comments below! 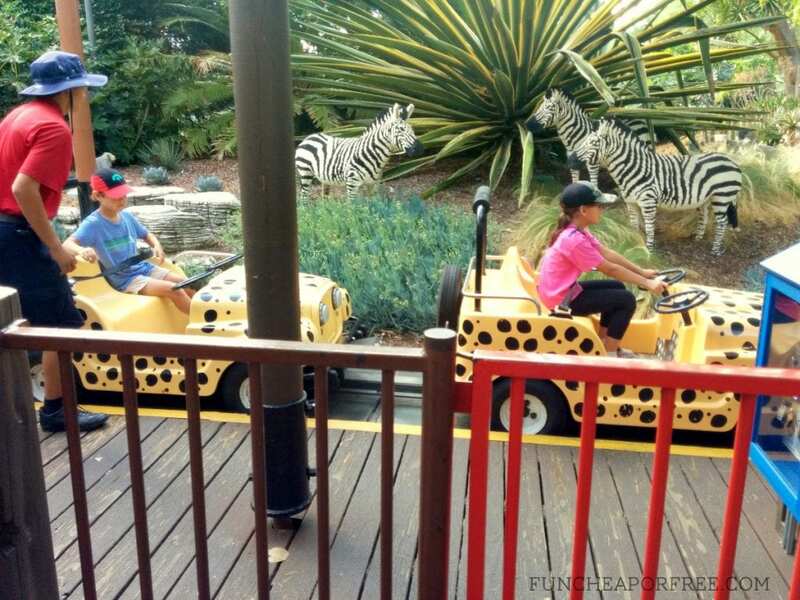 We’ve never been to Legoland California, but three times to Legoland Florida inc a stay at the Hotel there. 1. The park is closed Tuesdays and Wednesdays after Labour Day and during slow times, so we stayed one night in the LL hotel on Wednesday in September for less than $150 inc taxes and resort fee. Usually it’s double that or more. Check in was at 3 but we arrived close to 2 and the room was ready. Not having the park open allowed us to fully enjoy the hotel pool, buffet supper ($50 for 4, all u can eat inc takeaway coffee for 2), a Lego building class, and a PJ dance party with a knight and princess…there were outdoor walking trails too but we didnt have time. The adventure themed room was fab with private bunkbeds for the boys, Honest Co. toiletries, kid sized waters, organic apple juices that we took to the park the next day, a Keurig machine, and a scavenger hunt for clues in the room leading to Mixel Lego kits in the safe! Inc in the cost of the room was a full buffet breakfast, 2 days of parking, and early park admission Thursday morning. By time we calculated everything, the cost of the room was about $30! 2. There’s a burger restaurant in the City section. If you press the “big red” button on the counter and bells and whistles go off, you’ve won a free lunch! Usually it’s one per hour on average they said. We were lucky enough to win. I was telling the boys to stop pressing the button (I didnt know what it was for!) and all of a sudden, sirens and lights go off. The clerk excitedly tells us we’ve won a meal and comps an adult meal for us plus brings ice cream to our table as she had seen a birthday button on one son. Legoland Florida is awesome. If California is half as good, we can’t wait to visit sometime. Thank you, Krista!! We are getting ready to go to Legoland Florida the weekend after Thanksgiving. These tips are great!! All of them are great!! I’m going to check out LL hotel fees. They’re probably crazy expensive for the time we’ll be there but with those kinds of amenities it’s worth a look. Might be a bit more than the $137 we paid last Sept but any Tues/Wed in the Fall are less expensive than usual. Have fun! We love it there!